Living in Louisiana for the majority of my life, I have witnessed the devastation of several large flood events. When I was in high school in Lake Charles, LA, Hurricane Katrina struck the eastern part of the state, completely destroying the city of New Orleans. We watched in horror. Our city absorbed many refugees who had just witnessed their entire livelihoods drown in murky water. Only three weeks later Hurricane Rita tore through southwestern LA, flooding my house and completely flattening communities south of Lake Charles in Cameron Parish (Fig. 1). Living in Baton Rouge, LA, I witnessed the 2016 floods of the city that were not caused by a hurricane but were initiated by widespread and intense rainfall. A frequent comment that you hear after events such as these is: “We have never flooded before” and “I didn’t have flood insurance because I wasn’t in a flood zone.” As a hydrology PhD student and a long-term resident of the state of Louisiana, I’ve studied many flood zone maps; in fact, when my parents were finally ready to sell their house on the bayou that they lived in for 15 years, I encouraged them to look at higher elevation locations. They listened, and settled on a house in one of the highest parts of Lake Charles, an area only 19 feet above sea level. Although this part of Lake Charles hasn’t flooded in recorded history and doesn’t require flood insurance, I have my concerns about whether they are actually out of the flood zone. As it turns out, my worries are well-founded. Fig. 1: Looking toward my house in Lake Charles, LA along Contraband Bayou, 1 day after Hurricane Rita made landfall, September, 2005. Source: Author. The Federal Emergency Management Agency, better known to us as FEMA, creates coastal flood maps by using historical river stage and storm surge data in combination with elevation maps to determine the likelihood of an event occurring in the future across a certain area. The technical term for the likelihood of occurrence for an event of a specific size is the return period. This is where we get terms such as the 20-year flood zone or a 100-year storm. Despite the name, a flood event with a 20-year return period does not mean that an event of that size will happen once every 20 years; rather, it means that a flood of that size has a 1/20 or a 5 % chance of occurring in any given year. The maps that are generated using these assumptions inform policy makers on how to regulate building codes in coastal areas and also determine flood insurance rates. Additionally, engineers use these return period predictions to design structures like levees, reservoirs, and bridges to withstand an event with a desired return period. Generally, flood hazard assessment in coastal areas across the United States is based on a single variable, or “univariate” methods. This means that when mapping flood hazards for a riverine floodplain along the coast, the maps assume the coastal water level will be at its long-term, historical average water level when a river flood event occurs. Similarly, coastal flood maps assume that nearby rivers will be at the long-term average stage when a storm surge hits. In other words, both these maps assume that during high-water events, the coastal water level and river stage are completely independent, and that high river stages and high coastal water levels will not occur simultaneously. Personally, I am quite skeptical of this assumption, particularly in the face of climate change, which brings both a higher probability of extreme precipitation and higher sea levels. An obvious counterexample of this assumption is hurricanes, where extreme precipitation and thus river flow is highly correlated with extreme coastal water level. In this scenario, flooding extent, depth, and duration can be much greater than what would be predicted for high river stages or high coastal water level occurring in isolation. This is because the difference in water level between upstream locations and sea level is greatly reduced under these circumstances. This can result in the collection of water in places where that wouldn’t otherwise occur, and flooding in areas that may have previously been viewed as safe. The combination of two or more hazards, such as precipitation events and storm surge, that interact with one another in time and space and contribute to increased societal or environmental risk are referred to as compound events. Compound events can refer to various hazards that occur either simultaneously or sequentially and may be dependent or independent of each other. For example, a hurricane with concurrent storm surge and precipitation is two dependent hazards occurring simultaneously; a wildfire followed by a precipitation event is an example of independent, sequential hazards. In both cases, each hazard may not necessarily lead to extreme situations if occurring in isolation, but the combination of two of these events can result in catastrophic events that would have likely been under-predicted using current single-variable hazard modeling. Moftakhari et al. 2017 used two-variable, or “bivariate”, hazard analysis to reevaluate the return period for certain coastal flood scenarios. Instead of only considering one type of flood hazard, they considered the occurrence of two hazards, storm surge and river flooding. They found that in most cases, single-variable analysis of an event with a certain magnitude underestimated the actual probability of occurrence. This trend was particularly true for dependent hazards such as storm surge and high precipitation. For example, a flood event with a univariate predicted 20-year return interval had a bivariate predicted return interval of 13, 11, and 16 years for the cities of Philadelphia, San Francisco, and Washington D.C., respectfully. The more coastal water level and river stage were correlated, the larger the mismatch between the univariate and bivariate predicted return intervals. In addition, the study evaluated how structural failure probability changes when using bivariate hazard analysis when including various scenarios for future sea level rise. The analysis found that failure probability for a given design lifetime significantly increased for both independent and dependent compound effects under various sea level rise scenarios (Fig. 2). 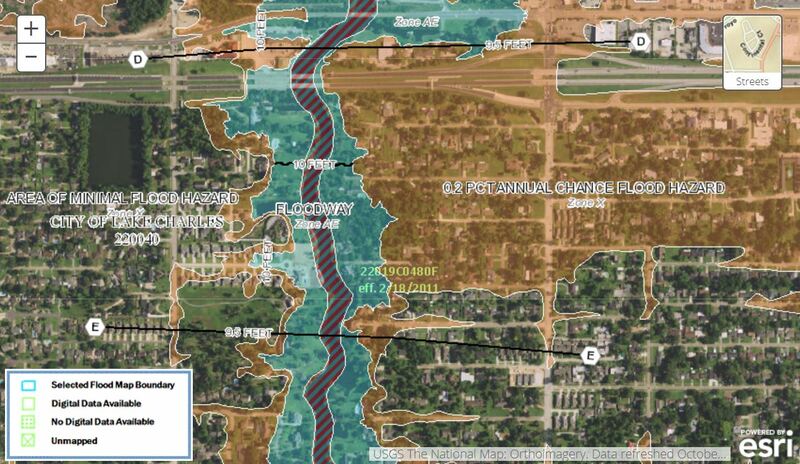 This analysis illustrates the importance of taking into account the interaction of multiple hazards for both coastal planning and engineering. Fig. 2: Figure from Moftakhari et al. 2017 showing the estimated failure probability due to an event with a 20-year return interval for a temporal horizon of 30 years. The solid black and red curves show the estimated failure probability computed based on, respectively, the univariate and bivariate hazard scenarios, according to present climate. Failure probability (and 95% confidence bands) for projected sea level rise is shown with solid (and dashed) curves under various predicted sea level rise scenarios. In cases with significant correlation between fluvial flow and coastal water level (namely, Philadelphia, San Francisco, and Washington, DC), failure probability under the unreasonable assumption of independence is shown as a blue curve. Source: Moftakhari et al. 2017. Although specific predictions of future climate remain uncertain, most climate models indicate that weather will become more extreme. As we head into this unknown future, it becomes clear that using recurrence intervals based on historical observations isn’t going to be sufficient, especially when these methods only use one variable. Studies like Moftakhari et al. 2018 demonstrate the importance of considering multiple hazards for coastal flood scenarios, and how rising sea levels may lead to even more extreme outcomes. The next step for this data is to enter the public sphere: policy makers, engineers, and the public face important decisions in the face of climate change. In order for these groups to make appropriate decisions, they must have access to the best data regarding the likelihood of occurrence of various hazards. Flooding is terrible but being completely unaware of your risk is worse. Hopefully, future flood mapping will take into account compound hazards; until then, I advise people living in coastal areas to consider flood insurance, even if it is not required, and to remain prepared for a catastrophic flood event regardless of how you perceive the risk of that event. If one thing about climate change is for sure, it is that our understanding of weather related risks is much more uncertain. Moftakhari, HR, G Salvadori, A AghaKouchak, BF Sanders, and RA Matthew. 2017. Compounding effects of sea level rise and fluvial flooding. Proceedings of the National Academy of Sciences, 114 (37) 9785-9790. Fig. 3: Disheveled dishes are one of the few things left in a house I helped to gut after the 2016 Baton Rouge floods. Source: Author. I am currently a PhD student in the School of Renewable Natural Resources at Louisiana State University. My dissertation focus is forested wetland hydrology. I use an array of hydrological research tools to try and improve our understanding of water movement through large floodplain forests of the southeastern United States. Before starting my PhD I earned a Masters degree from the University of North Carolina Wilmington. My masters research involved investigation of sediment transport around oyster reefs in tidal creeks. From then on, I have had a passion for understanding how biological systems interact with hydrological processes. Outside of work, I spend the majority of my time exploring the swamps and culture of Louisiana. Going, going, gone! Living shorelines send nitrogen packin’!